1 1/2 years ago. 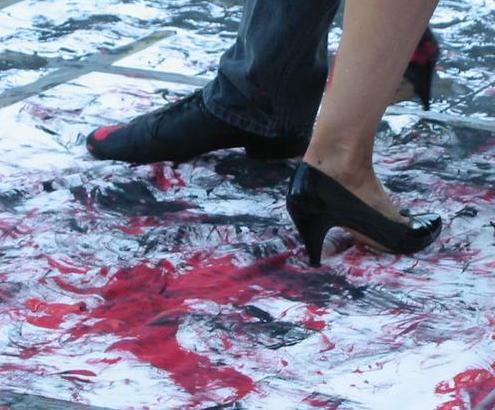 The Peninsula Tango Society plans to honor him and his art by adopting his method of painting on large canvases with paint on the feet while dancing tango. We will have several couples performing this act. More information about Mr. Alio and his art work can be found on his webpage. Mr. Alio has endorsed this project. The networking event starts at 6pm with Tequila & Cognac tasting, Salsa dancing and other entertainments. All Tangueras and Tangueros are invited to join. Tango dancing begins at 6pm in front of the San Jose Museum of Art. At 6:45pm we will start with the art performance. 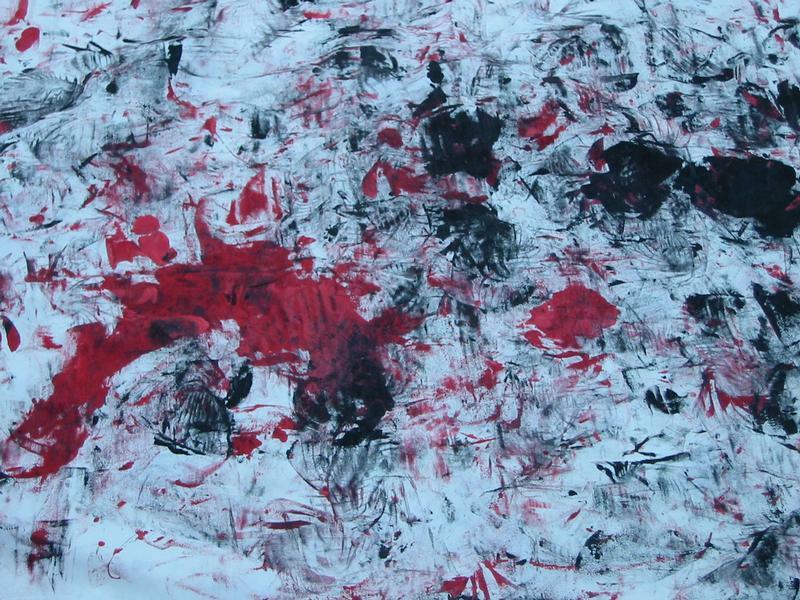 Here are two pictures showing feet while painting and the resulting canvas. Between 8:15pm and 8:45pm a Tango Fashion Show featuring designs by Carsten Hast takes place in the museum. The couples presenting the fashions will perform several show dances during that time. Between 9 and 11pm the museum will host a milonga in the New Wing South Gallery.